Going out with a baby? Well, that’s not excuse to carry big ugly handbag full with baby care stuff. 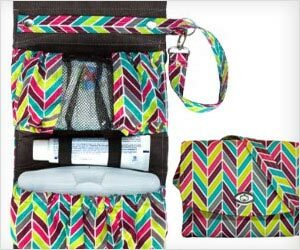 This stylish “Diaper Clutch” provide all functionality and style.